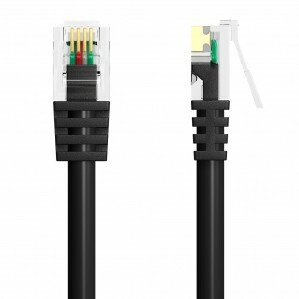 Very Long RJ11 ADSL Broadband Modem Cable 15m High Specification - RJ11 Modem Cable & Accessories RJ11 ADSL Cables. Bandridge Branded Quality High 16mb speed internet cable. High quality 15m very long RJ11 ADSL broadband modem lead, used to connect modem to ADSL wall filter when using broadband internet. Currently viewing: Very Long RJ11 ADSL Broadband Modem Cable 15m High Specification - RJ11 Modem Cable & Accessories RJ11 ADSL Cables.